It’s becoming absolutely clear that Obama all these years was lying and manipulating the American public whenever that was convenient for him. However, people are so fed up with the lies they constantly hear from him, but one truck driver took one step further. Apparently, he was so tired of hearing Obama’s crap so he finds the perfect way to show that. 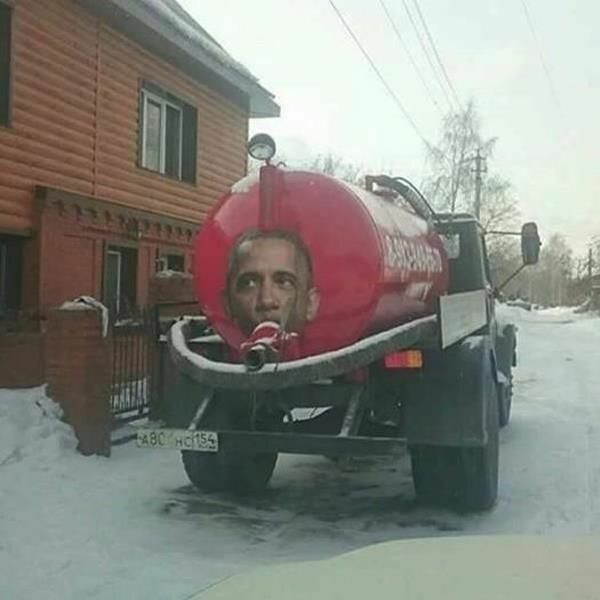 In an act of rebellion, the Trucker had the genius idea of putting Obama’s face right over the crap hole of his sewage/septic tank transporter. What’s the saying… Is a picture worth 1000 words? There was a time when I would have said this is not appropriate. However, in light of the behavior of our former president in the last eight years, I give it a thumbs up. After all, that’s the most honest picture of Obama in history! That says it all… Obama is the s**t this country is trying to get rid of!! Now somebody needs to find the right place to put Hillary’s picture. What do you think? 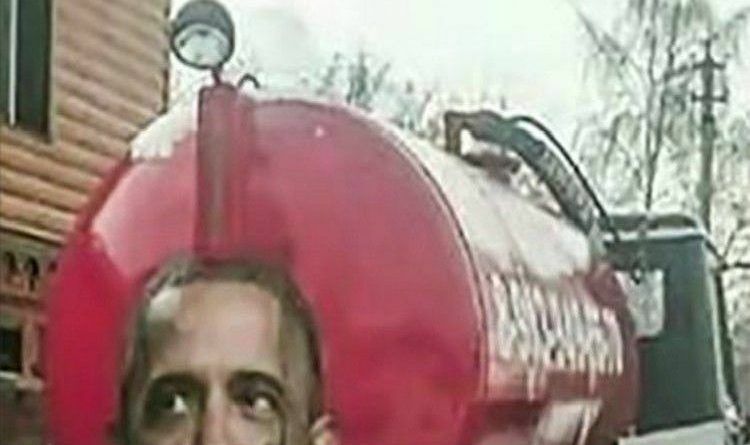 Do you like this hilarious picture of Obama? Scroll down to leave a comment below.